History: Established in 2011, HLIS Drama Club has been going strong for four years! Mrs. Sartain is the sponsor and considers this extracurricular activity her “baby.” Between the school years of 2011 – 2014, the drama club raised approximately $10,000, which it used to furnish our stage with a curtain and all of its necessary parts. It is now trying to raise money to purchase a sound reinforcement system. This project has been ongoing since August 2014. Three Strikes and You’re Out: Mrs. Sartain expects each member to represent the club well in their classrooms, during meetings/practices, and in public. She will be in contact with each student’s teacher. The drama club will write a social contract together. If a member fails to follow it three times, his/her membership will be terminated. Volunteers: Even though Mrs. Sartain tries to be Superwoman, she falls short. That being said, she welcomes parental involvement with open arms. It’s all hands on deck! Late pickups: Please respect Mrs. Sartain, the other committee members, and their time. For whatever reason, if you will be late, please text Mrs. Sartain at (901) 603-2129. Unfortunately, habitual tardiness will result in the termination of your child’s membership. 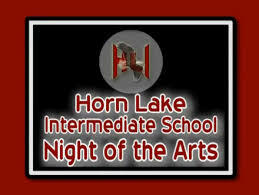 Take a look at 2012's Night of the Arts. Dismissal will be in the car rider line at the back of the school.